Breathing in Medellin, Colombia’s second largest city, has become such a health hazard that the local government on Wednesday declared a red alert. The red alert seeks to lower smog levels that reportedly cost eight lives a day, more than six times the number of daily homicides in the city. 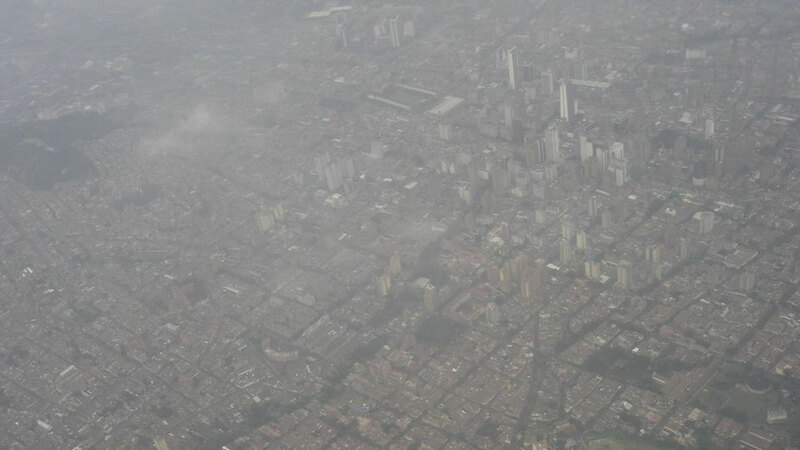 Medellin lies in the Valley of Aburra and, with the arrival of the cloudy rainy season, has slowly become covered in a fatal smog, causing respiratory problems among many in the city. According to a study by epidemiologist Elkin Martinez, last year some 3,000 people died of causes related to air pollution, or one every three hours. So far this year, the city declared an orange alert four times, but to no effect. With the arrival of the rainy season, the administration of Mayor Federico Gutierrez was forced to raise this to red. The red alert allows the government to issue special decrees, banning heavy transport during peak hours. Additionally, schools were told to stop all physical and outdoor activity to prevent the city’s children from breathing in too much poisonous air. According to Gutierrez, the number of cars in the city has doubled since 2005, while the number of motorcycles grew a staggering 511% since that year, saturating the city’s ability to rid itself of the poisonous exhumes. The mayor announced he would be preparing measures to eventually rid the city of small, privately-run buses that often use turbo chargers to be able to enter the neighborhoods located on the steep slopes of the Aburra valley. In order to lower the current pollution level, the mayoral decree seeks an immediate reduction of 30%, or 450,000 vehicles, of the city’s motorized traffic. The city had already asked state-run oil company Ecopetrol to deliver cleaner fuel and is now asking the national government to force the oil company to improve the quality of refined gasoline. The red alert is expected to last at least until Saturday.